The combination of an attractive historic centre with the partial home of the European Parliament, Council of Europe and Court of Human Rights makes Strasbourg a great choice for a school trip, especially for groups wanting to enhance their understanding of the European institutions. The city is also famous for the Strasbourg Cathedral, the sixth tallest church in the world; for its traditional Christmas market, exquisite parks and distinctive traditional cuisine. 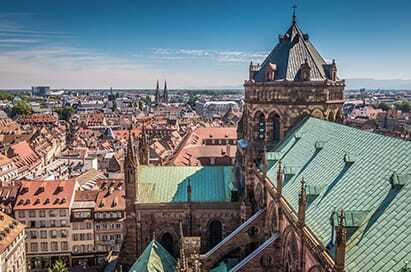 Strasbourg is popular with groups studying a variety of subjects as it has something for everyone. The castle was built in the 12th century by the Hohenstaufens on a headland dominating the Alsace plain, more than 700 metres above sea level. A sightseeing tour of Strasbourg will offer your group the opportunity to see the city's main attractions. A professional, experienced, English-speaking guide will give an insight into the history and culture of the city and will be able to answer any questions you may have. 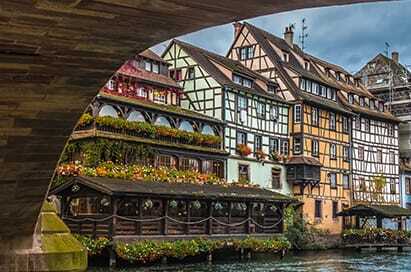 A tour along the river will offer students the chance to see Strasbourg’s historical quarter and its port. There are also cruises along the Rhine. The two hectare park will educate your students on aquatic flora and fauna.